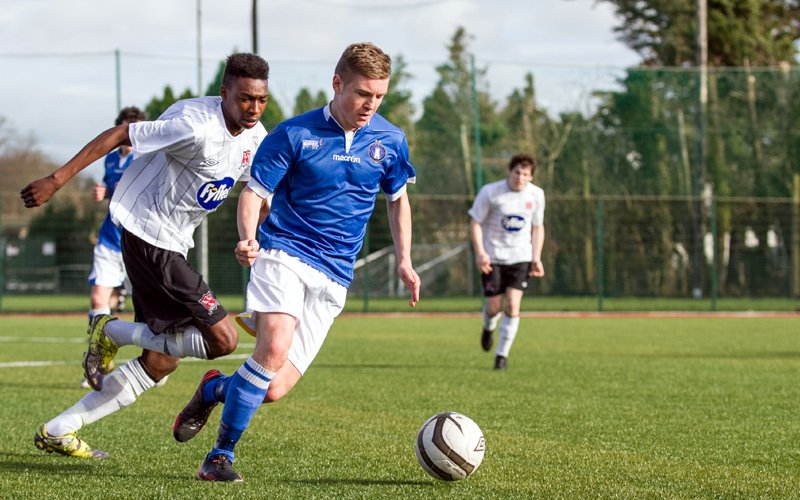 Marfide Matondo scored twice to help Dundalk to a 3-2 win over Limerick in the Under-19 Promotion Playoff Group at Annacotty on Saturday afternoon, with the winger striking the decisive second-half goal moments after Ross Mann had equalised for the home side. The visiting Lilywhites went into the game with seven points from their opening three outings in the group, but for Tommy Barrett’s side it was just their second game in the series having lost 3-0 at Oriel Park the previous weekend. And Limerick soon found themselves behind again as Dundalk broke the deadlock inside five minutes when captain Conor McDonald struck to the top corner after some ping-pong in the box. Martin Connolly’s team could have doubled their advantage just three minutes later when a poor back-pass was left short, with Ciarán O’Connor stealing in but his effort was well blocked by the out-rushing Paul O’Leary. However, Dundalk did make it 2-0 on 19 minutes when McDonald this time turned creator to set up Matondo who narrowly beat the offside trap before firing low past the ‘keeper in a one-on-one. Dundalk were well on top at this stage but Limerick slowly found their feet in the game. Their first effort of note came when Mann tested Ryan Davies with a powerful strike from the right angle of the box which the netminder did well to hold. The hosts were back in the game on 35 minutes when Craig Pentony brought down Michael Guerin in the box and Shane Walsh stood up to drill the resulting spot-kick to the net. Moments later, defender Conor Maguire found himself in on goal but his shot was well blocked, before Davies was forced into a fine save as he turned Mann’s shot around the post. Early in the second half, there were chances at both ends, with O’Connor blazing over when through on goal while Cian O’Donoghue forced Davies into a smart save from distance. Limerick found an equaliser on 61 minutes when Mann finished clinically to the far bottom corner, but it was short-lived parity as Dundalk immediately regained the upper hand through Matondo who took advantage of a defensive slip. Limerick pressed for another leveller and they went close a number of times, with Walsh and substitute Jack Lynch – who was making his debut – seeing efforts fly just off target. 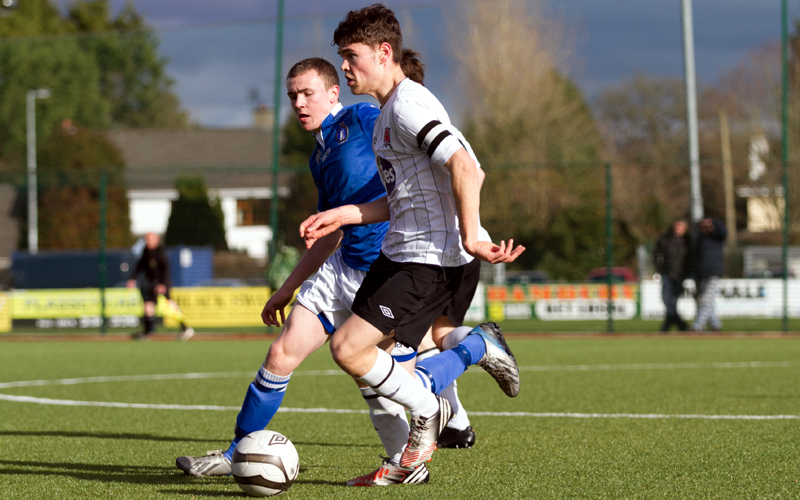 Dundalk too had opportunities and O’Leary did well to deny O’Connor on 83 minutes. However, despite that save, the Louth men held firm for victory to hit 10 points after just four games. Next up for Limerick is a game against Derry City which will take place at Milebush in Castlebar next Saturday, 8 March, at 2pm. Limerick: Paul O’Leary, Shane Walsh, AJ O’Connor, Conor Maguire, Michael Guerin, Seán McSweeney, Matt Keane, Mark Hoban (Jack Lynch 73), Cian O’Donoghue (Evan Cusack 78), Ross Fitzgerald, Ross Mann ©. Goals: S Walsh (35 pen), R Mann (61). Dundalk: Ryan Davies, Manuel Kaguako, Paul Finnegan, Anto Reilly, Calvin Murphy, Craig Pentony, Kevin Nolan, Conor McDonald ©, Craig Doherty, Marifide Matondo, Ciarán O’Connor. Goals: C McDonald (5), M Matondo (19, 63). Subs: Dylan O’Hanlon, Frank Osadebe, Cormac Boyle, Vlad Evseev.